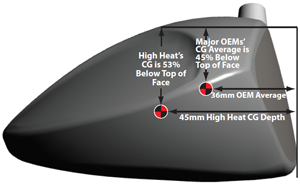 Dean Knuth is the creator of the 460cc High Heat ($399) and he started on the premise that most drivers made by the large equipment companies are designed for use by high swing speed players such as those on the PGA Tour. Knuth, former Senior Director of the United States Golf Association and developer of the USGA Handicap System, felt he could do better for average golfers who typically generate as much as a third less clubhead speed than the big hitters on Tour. 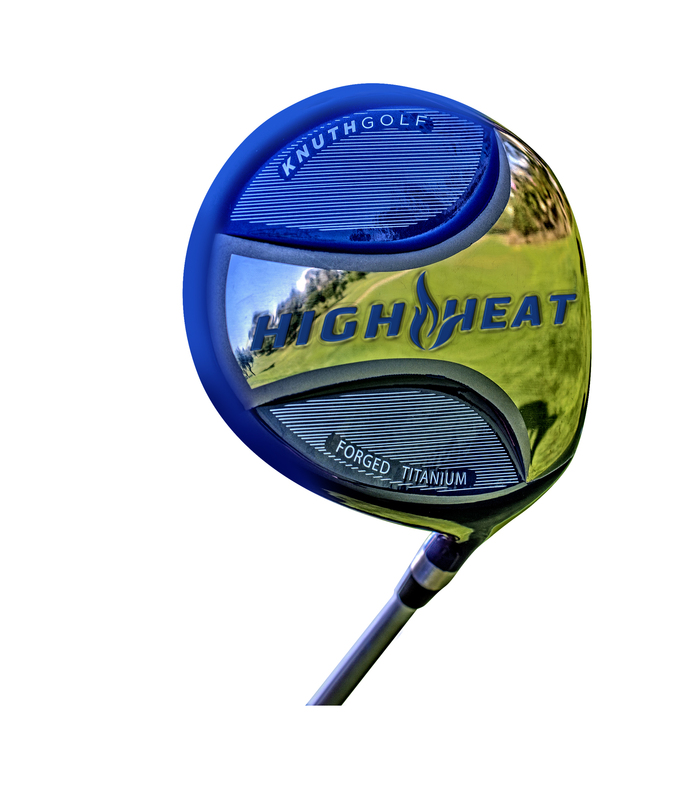 The background story of the High Heat could probably fill a book but forming Knuth Golf with partner Steve Trattner resulted in the development of several key design features. For example, balls hit low on the face go a lot less distance than those hit above the face center so the High Heat has its center of gravity 25 percent further back than many of the major equipment company drivers and much lower, i.e., closer to the sole. 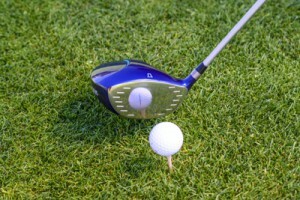 The result for amateurs, who usually do make contact below the center of the face, is more distance. Combine that with seven face thickness zones and less consistent swingers have a readily apparent distance difference—even though they don’t make contact in the way tour pros do. Another feature contributing to the straightness of the High Heat is it has a very high resistance to twisting, again aiding those of us who don’t always make center contact. Drivers usually have a MOI (moment of inertia) of around 4,000 gm-cm sq. (that’s the last time you’ll see gm-cm sq.) and really good drivers, according to Knuth, average just over 4,200. Company data for the High shows an MOI of 5,346 which is a lot closer to the USGA imposed limit of 5,900. No wonder it hits it straight. The other really nice feature is the face has a mirror finish so each swing leaves an impression at the point of impact which, in theory at least, gives you the chance to make a correction on the next swing. Now truth time. My first a High Heat had 10.5 degrees loft and a Fujikura Pro 63 regular flex shaft which I hit very straight but a lot shorter than my current driver from a major manufacturer. After some discussions with Knuth and Trattner we changed it out for one with 9-degree loft and a stiff shaft. What a difference! Still straighter than any current model I have tested but with an additional 15-20 yards of distance. So the moral of the story is make sure before you buy which specs are correct for you. The High Heat may be purchased on KnuthGolf.com and I understand fairway woods and hybrids are under development.